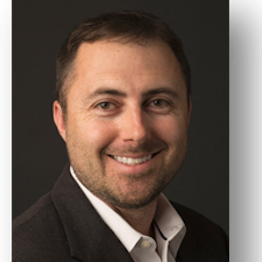 Dr. Wesley Marshall is an Associate Professor of Civil Engineering with a joint appointment in Urban and Regional Planning at the University of Colorado Denver. He serves as director of the Transportation Research Center (TransportationResearch.Center) at CU Denver and co-director of the Active Communities/Transportation (ACT) research group. He received his Professional Engineering license in 2003 and conducts transportation teaching and research dedicated to creating a more sustainable infrastructure, particularly in terms of road safety, active transportation, health, and transit-oriented communities. Other recent teaching and research topics involve: scofflaw bicycling, congestion, resiliency, parking, and street networks. Having spent time with Sasaki Associates and Clough, Harbour and Associates, Dr. Marshall has been working on planning and site design issues related to transportation for the last twenty years. A native of Watertown, Massachusetts, Dr. Marshall graduated with honors from the University of Virginia and earned his master’s and doctoral degrees from the University of Connecticut. He is a recipient of the Charley V. Wootan Award for Outstanding TRB Paper, and recent winner of the CU Denver researcher of the year award.